One of the best rappers to come out of Benin City Monemsis a.k.a M.O The Great is out with two new singles. The first song is titled 'Baby Jeje' and the second single is called 'Never Enough'. Both tracks were produced by one of the best rap producers in this country Ray-X. 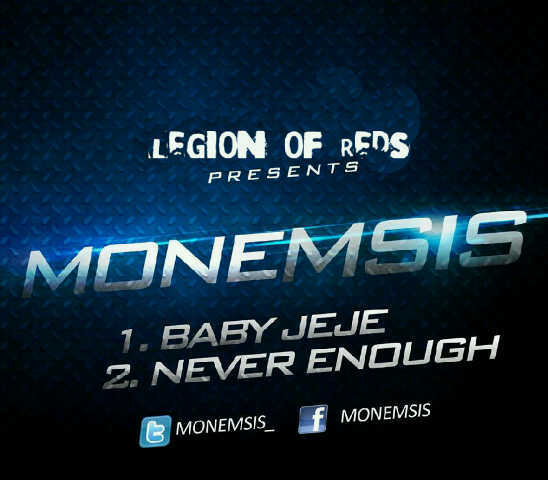 Monemsis is now signed to Legion of Reds. He moved to Lagos after the death of his manager. He is currently working with Ray-X on his debut album. These two singles show the range and potential of M.O The Great who is the first born in a family of four boys.